Ability Text: Each player puts the top four cards of their library into their graveyard. Return up to two instant and/or sorcery cards from your graveyard to your hand. 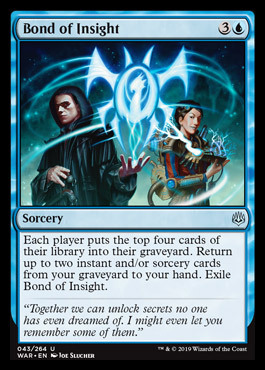 Exile Bond of Insight.